Having grown up in a rural community and then moving to Phoenix before landing in Detroit I realized how impactful childhood nature experiences can be. 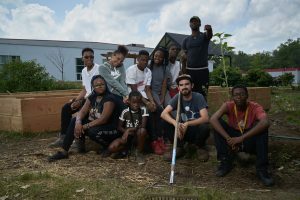 Finding opportunities for kids in urban environments to participate in agricultural and wilderness experiences expands their world view and connection to their environments. As writer Barry Lopez notes, “the support we offer our children in sorting out their relationships with the natural world is crucial to the recovery of a dignified, human relationship with the earth.” Hence, our human/environment relationship is both constructed and enacted into our identity through our interactions with our environments. 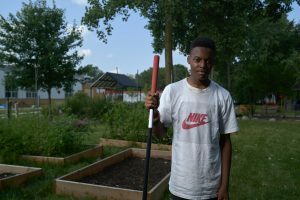 The amount of green space in Detroit blurs the urban/agriculture/wilderness divide and offers kids a unique opportunity to engage in rural and urban experiences. What is needed is the mentoring that opens student minds to a new way of seeing, questioning, and understanding their environments. 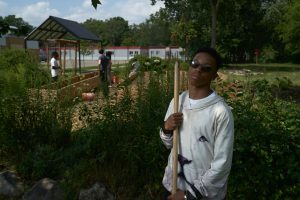 The Detroit Community Schools builds this human/environment connection for students via their garden project where students participate both in planting food and native plants. 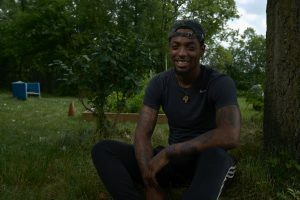 One of the most enjoyable aspects of working with these students was listening to their conversations and questions as they grappled with connecting what they learned in class to their work in the garden. 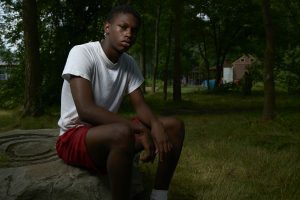 Edgar Cardneas’ work with the Brightmoor Maker Space has been made possible by the generous support of the Michele Schara Residency and the Penny W. Stamps School of Art & Design.